The ZHAW is one of the leading universities of applied sciences in Switzerland. Teaching, research, continuing education, consulting and other services are both scientifically based and practice-oriented. 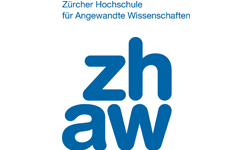 The ZHAW with its eight schools offers a wide range of specialist knowledge. All of its schools carry out disciplinary and interdisciplinary research. Numerous IT-projects and related research activities have been realized successfully in the past by the Institute of Business Information Technology. The Institut has its research focus area in knowledge and information management, process automation and business process management, information system as well as software development. ZHAW’s Institute of Nursing has its focal areas of research exactly in the challenges that are addressed by the call 7 of the AALJP. The ZHAW has experience through on-going and former national and international research projects. ZHAW’s efforts in the project FairCare will be complemented by its subcontractor AlpNET Engineering AG. AlpNET has long-lasting experiences in the technologies intended to be implemented in FairCare and is supposed to be the FairCare provider Switzerland after the end of the project. The Institut of Business Information Technology has its research focus area in knowledge and information management, process automation and business process management, information system as well as software development. The Institut of Nursing has its focal areas of research n acute critical nursing and community-based, integrated out-patient care (referred to in Switzerland as „Spitex”), with particular focus on the nursing aspects of transitional care. They involve families and social networks in nursing care (family nursing), are active in nursing interventions in rehabilitation and examine societal factors relevant to the quality and professionalisation of nursing practice. The Intitute of Nursing will particularly deal with end-user involvemenet. The Institute of Business Information Technology will particularly be involved with software development. Dissemination activities and business model development are further efforts by the ZHAW.